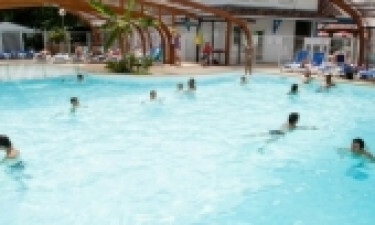 Le Domaine de la Marina - Aquitaine, France - Book your holiday now! Looking for a camping holiday in France? Lux-camp Le Domaine de la Marina is the ideal base for exploring the beautiful Landes region and Messanges beaches. The holiday camping site provides a comfortable mobile home that offers holidaymakers luxury camping with a wealth of leisure activities on their doorstep. Culture and heritage are as much part of the luxury holiday experience as kayaking, windsurfing, golf and excursions into the Basque region for a spot of white water rafting! Why visit France's Landes Region? Start with the International Film Festival of the Sea in Hendaye in April, follow it up with a visit the Landes Abbeys Festival in July, don't forget a stop-over at the Art of Flamenco Festival in Mont-de-Marsan, and reserve a little energy for the Biarritz Jazz Festival, the towns of Dax, Bayonne and St Jean de Luz and visits to Sémaphore de Messanges locally! It's a fabulous area to explore and should please every family member. the LUX-camp offers half and full board, leaving more time for exploring, relaxing and having fun. 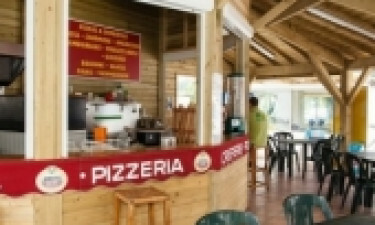 The luxury camping site boasts its own cosy restaurant and pool-side snack bar, catering for all appetites, large or small. Have a slice of pizza while you're waiting your turn at the table tennis tournament, or sit down for a relaxed family meal at the end of your sightseeing day. The Lux-camp nestles between the towns of Messanges and Vieux-Boucau in the southern part of the Landes region, so is close to a wide selection of shops. Campers will find freshly baked bread sold every day onsite in summer and two supermarkets are located within a 500 metre distance from the holiday camping site. This friendly luxury camping site boasts its own Aquagym, where campers can enjoy water aerobics classes in summer or a swim in the heated indoor pool. Luxury camping also includes playing bowls, using the games room for friendly competitions among family members and friends, playing beach volleyball, going kayaking, surfing, rafting, canoeing, cycling, walking or joining sightseeing excursions regularly organised by the LUX-camp! The immediate surroundings boast many cycling and walking trails ideal for exploring the Landes region without the need of car hire. A landscaped sports area offers competitive campers football, handball, basketball and volleyball matches onsite. 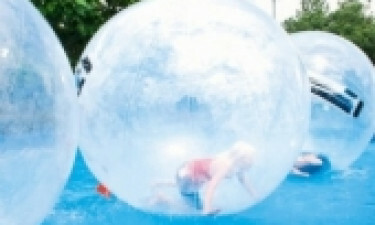 If you're looking for a camping holiday in France, offering quad rentals, electric go-karting for children, mini-golf, bouncy castles and activities for younger campers, this Lux-camp is the one for you!